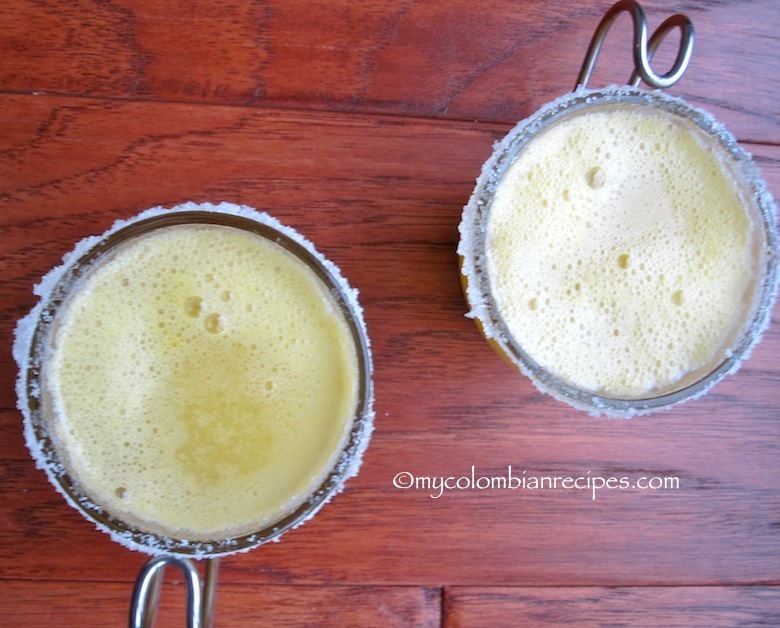 Hervido is a traditional hot drink from the Nariño department of Colombia. 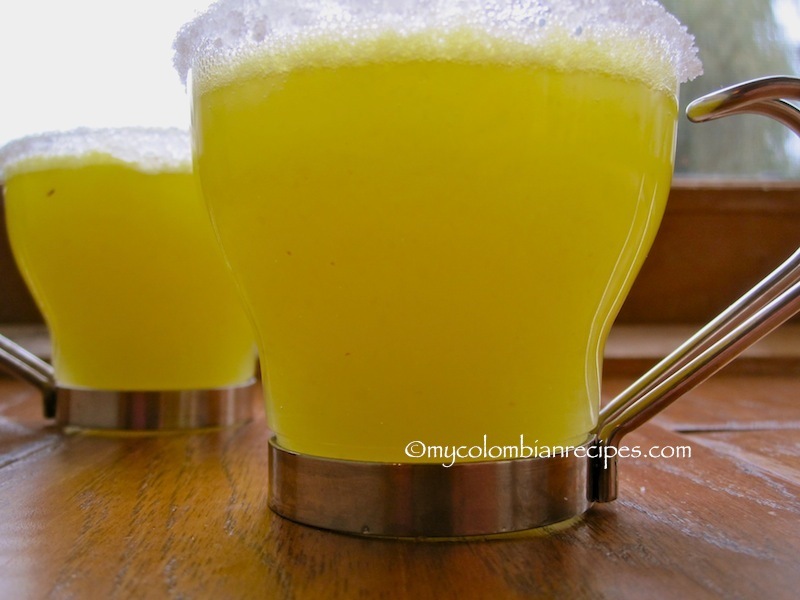 Hervidos are made by boiling fresh fruit juice, such as pineapple (piña), passion fruit (maracuya) or blackberry (mora) with sugar, and then the hot juice is mixed with aguardiente, an anise flavored liquor from Colombia. 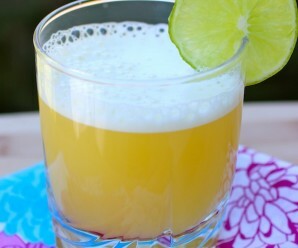 Hervidos are a wonderful cocktail for the cold weather. 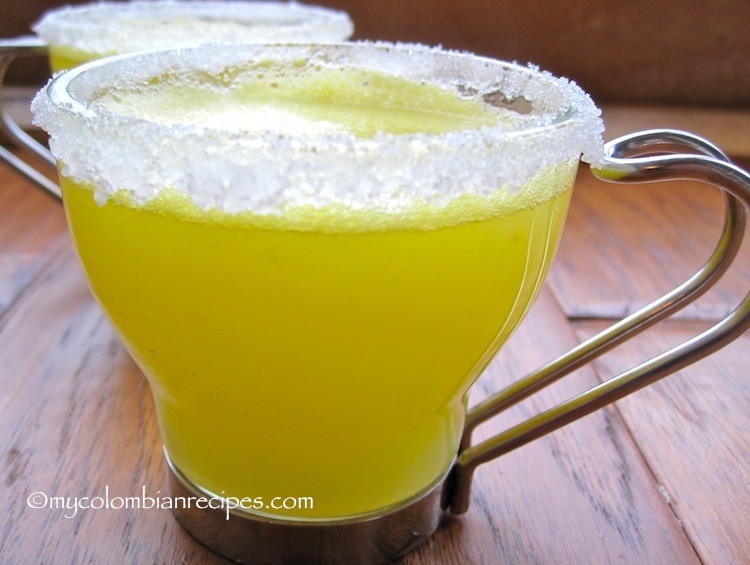 If you want a nonalcoholic version, feel free to try them without aguardiente. I make that version for my kids and they love it. 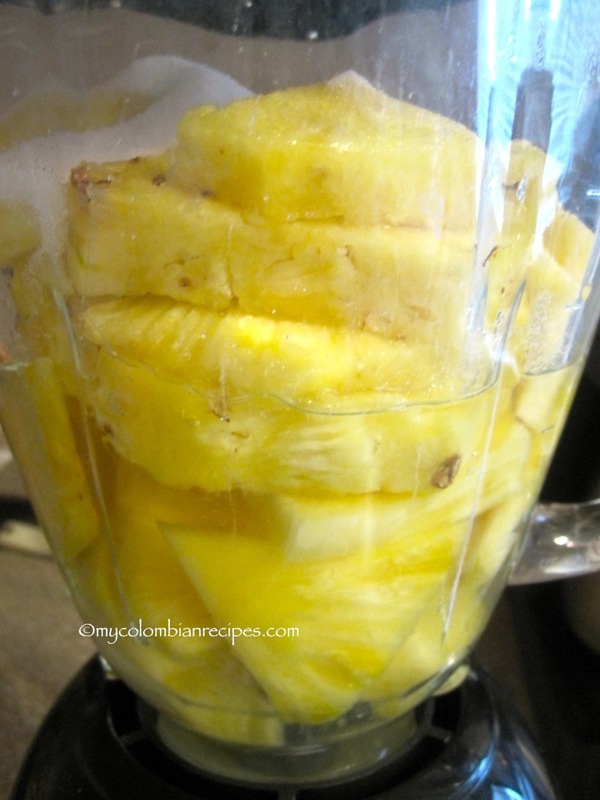 orking in batches place the pineapple chunks with the water in the blender and blend well.Strain the juice through a sieve. Place the juice and sugar in a medium pot. 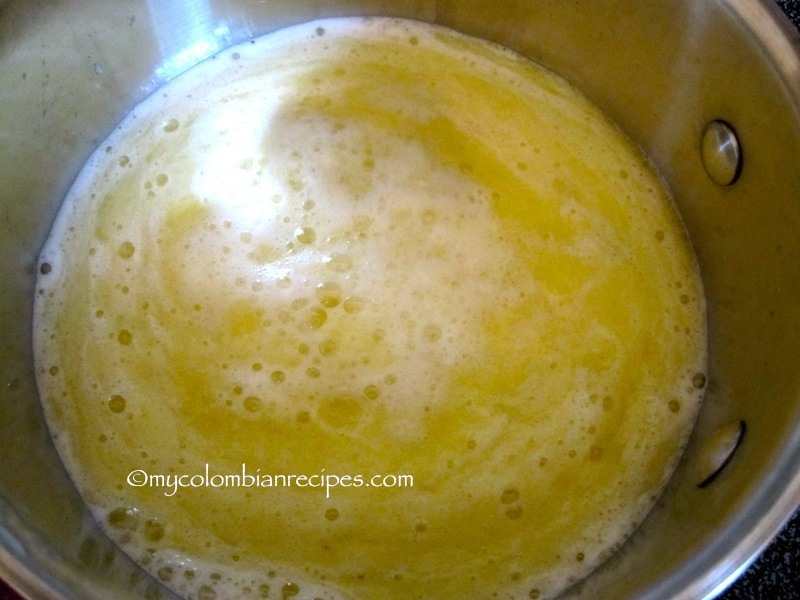 Bring to a boil, reduce the heat to medium and cook for 15 minutes. 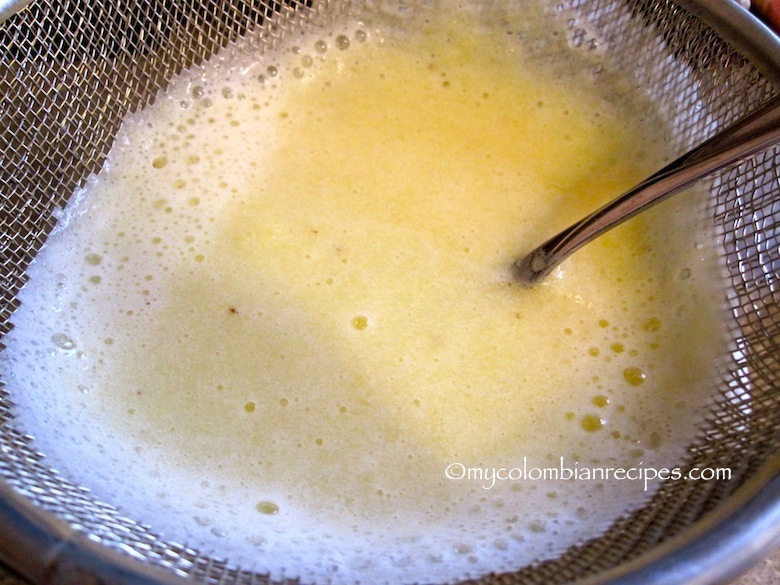 Add the aguardiente and to serve, place sugar in a shallow dish. Moisten the rim of a cup with a dampened paper towel, then dip into the sugar. 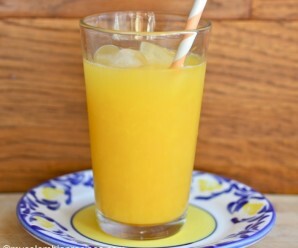 Fill the cup with the hervido and serve immediately. I don’t normally think of pineapple as warm, but you’re convincing me that this is a great way to enjoy it! I’ve never heard of this before but I’m all for anything pineapple-infused! Looks and sounds fabulous! 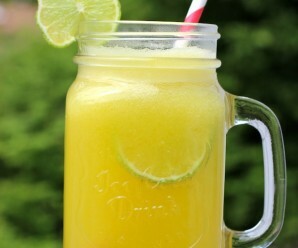 In your country, one can get so many wonderful fruits and I could see myself switching to a diet of 75% fruits and fruit drinks such as this one. this is a totally unique beverage, erica! how delicious and satisfying it must be! 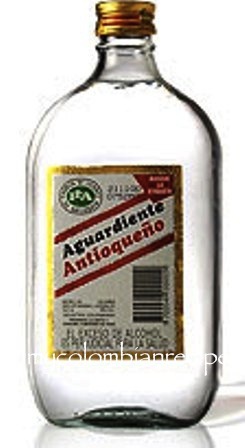 I tasted aguardiente when I was in Colombia. My memory is that it was like drinking anise flavored fish hooks. The beer was good though and, although I’m not a rum drinker, I’m told that Colombian rum is absolutely the best. 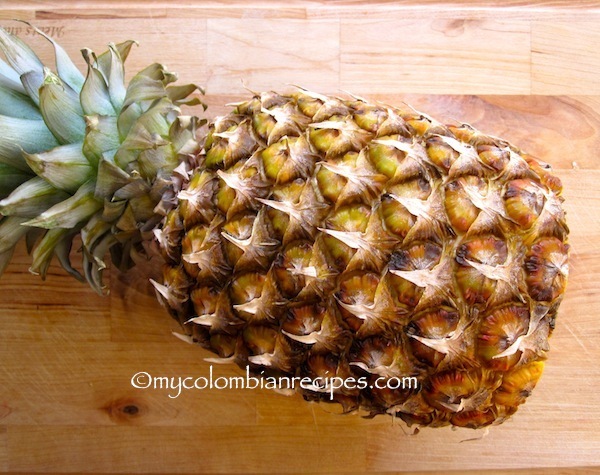 I have been in the US for a long time and I forgot to make a lot of my Colombian food and thanks to your site ……I am re-creating all these recipes at home. This drinks is delicious. I made it last night and add aguardiente for my Americano husband and me and non- alcohol for my kiddos. It was great. Thanks. Thank you, everyone! I love all your comments! 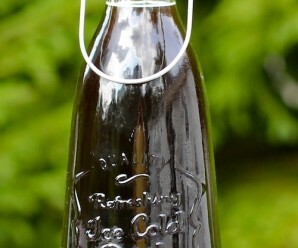 I tried this recipe with a similar type of anise liquor and it was amazing!